Check the status of your flight. All times are local (Central American Standard Time). Most airlines require you to be at the airport at least three hours prior to your scheduled departure time and Costa Rican law requires you to pay your departure tax and complete the check-in process at least one hour in advance. If you’re seeing delays on the flight tracker it’s because Costa Rica’s flight handling capacity is overwhelmed by rapid growth in the number of travelers. Two new international airports have been “just over the horizon” for as long as we can remember. While new airports would reduce delays, increase capacity and be great for tourism they are probably quite a way off. The long time fantasy of real estate developers the Palmar Sur airport would be located at the junction where the Osa Peninsula meets the mainland. The plan is using an international airport to open the mostly unspoiled south Pacific to easy exploitation with golf courses, resorts, and marinas the way the Liberia airport boosted tourism in the north west. Fortunately there’s one main factor that makes it unlikely. The southern region gets far more rain than the northwest, has no existing international tourism properties and any new mega-resort development will likely stay in Guanacaste regardless of whether there’s a new southern airport or not. 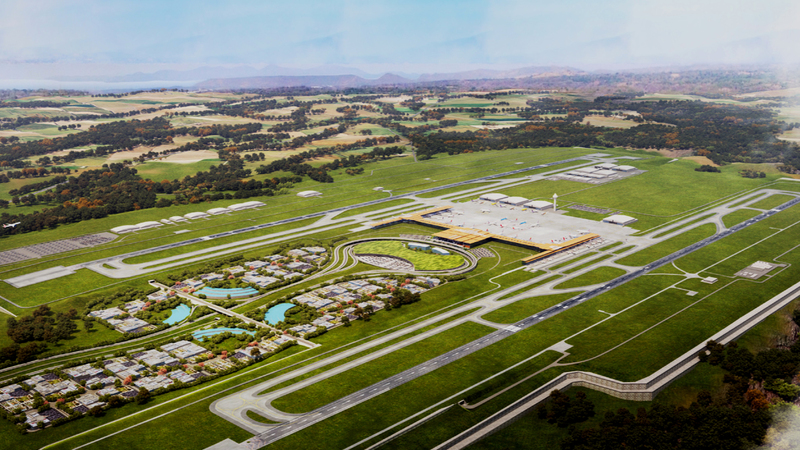 In our opinion the plan to relocate SJO 20 miles (35 km) to west from Alajuela to Orotina is the most likely major airport project. The plan, intended to move the airport away from the horrendous traffic of the Central Valley and closer to the Pacific beaches, looked like it might actually get off the ground (sorry…) in 2017. Plans were drawn, initial approval granted and there was even some talk of finding money for a 2027 completion date. By mid 2018 the plans had been put on hold. Our best guess is that this might be completed by 2050. While the roads wind and climb through the mountains and along rugged coasts stretching land travel times Costa Rica is a tiny country from the air. Even in a propeller plane no flight is over an hour and most spend the majority of their 20 minute duration climbing from takeoff and descending to land. 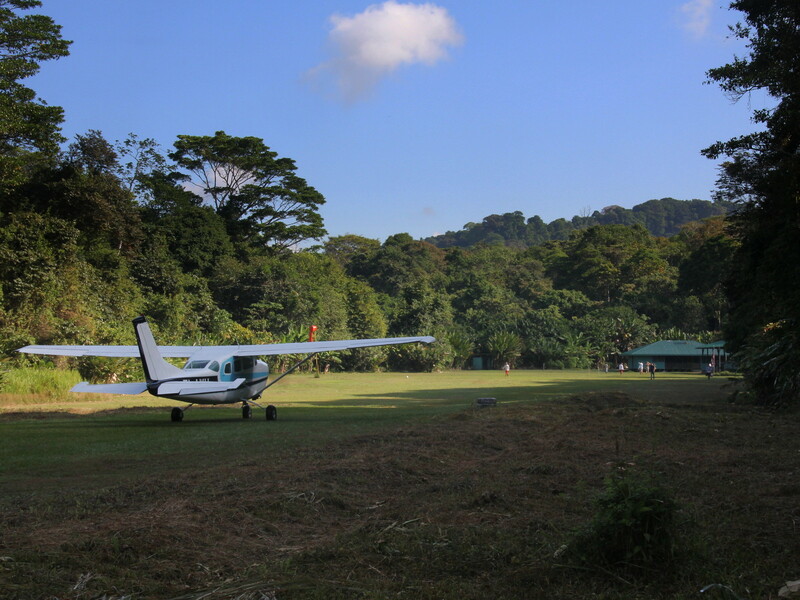 The era of grass landing strips in the jungle isn’t totally past but Costa Rica’s small airports are modernizing. In 2018 the projects were 2 out of 3 which is quite good. 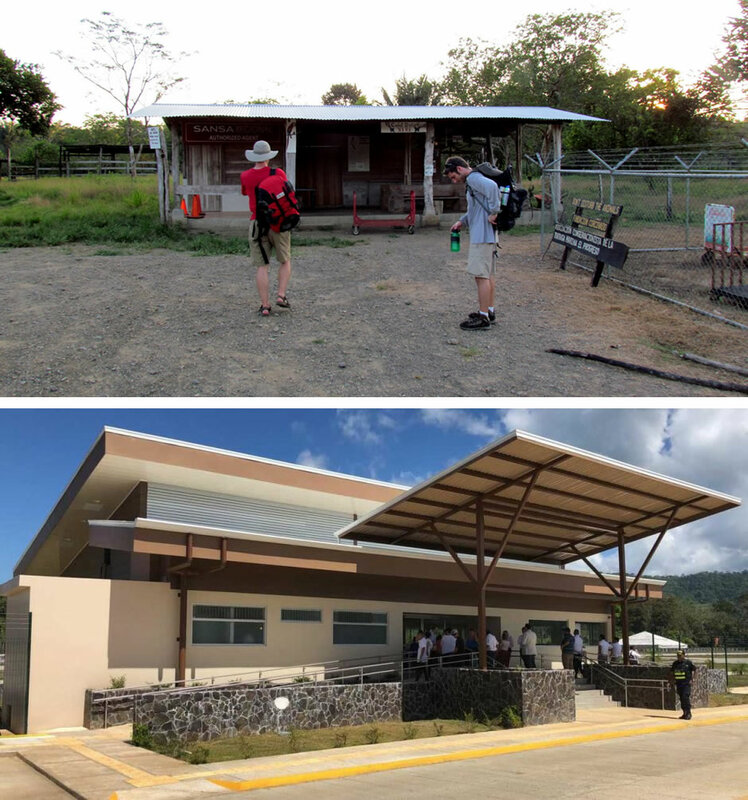 An improved Domestic terminal at SJO (mainly a SANSA gate) and a complete rebuild of the Drake Bay airport at the gateway to Corcovado National Park and the Osa Peninsula were the highlights. The major renovation of the terminal and complete overhaul of the Quepos airport at Costa Rica’s most famous national park, Manuel Antonio, was a different story. Unfortunately the contractor knocked some things over and tore some things up closing the airport for almost a year without any progress. Eventually all the money was gone and the old airport was patched up and re-opened not much different than it had started out. Pura Vida!